The Bungee and Basketball is an awesome commercial inflatable game! This game allows two people to run against the bungee in a fast paced basketball shootout! 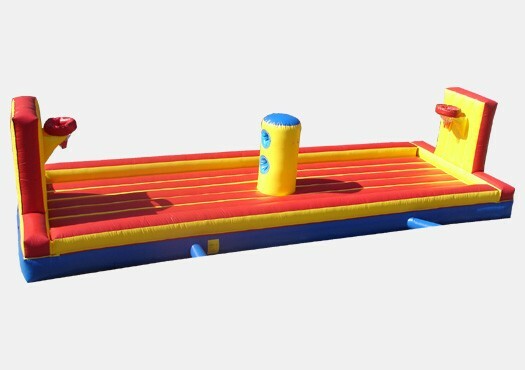 Test your skills on the court in high energy inflatable game. Bungee & Basketball is the perfect inflatable game for your rental business, church, school or other institution! Made of 18 oz. reinforced vinyl.